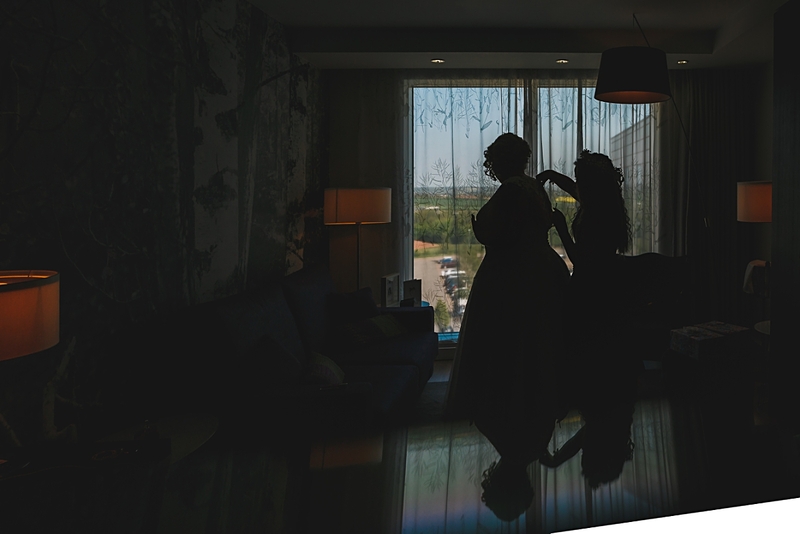 Highlights Slideshow – Click HD and full screen it! 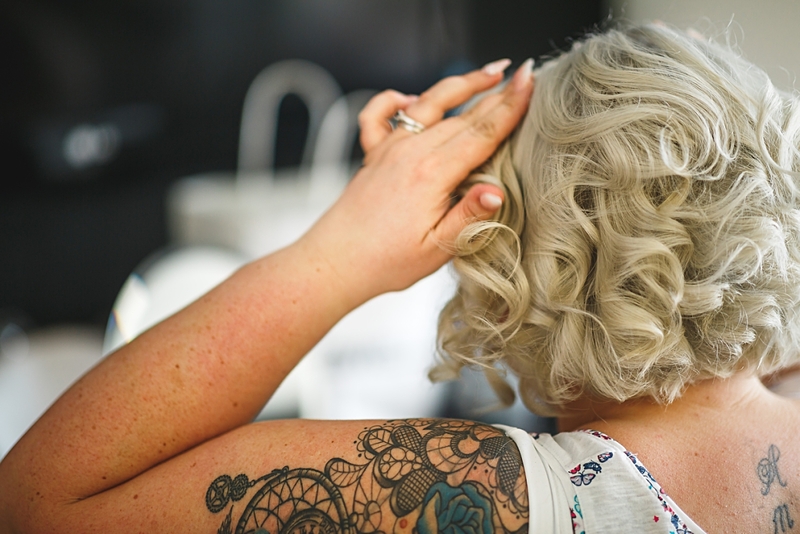 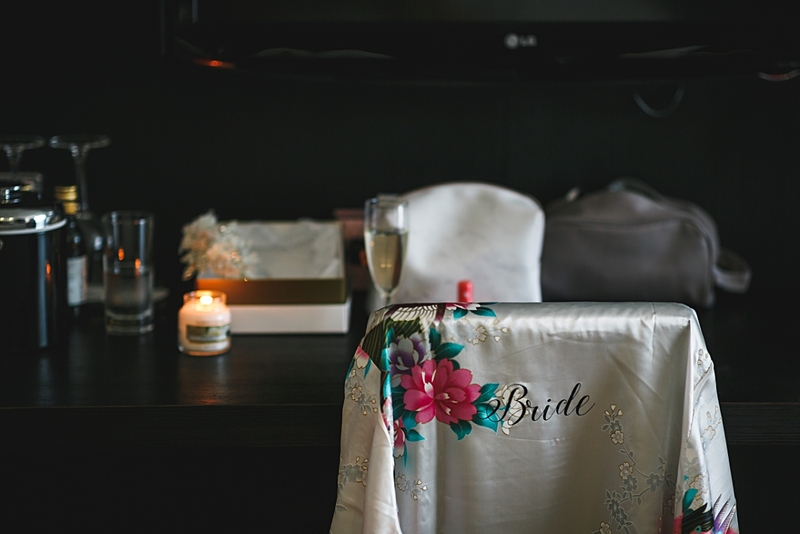 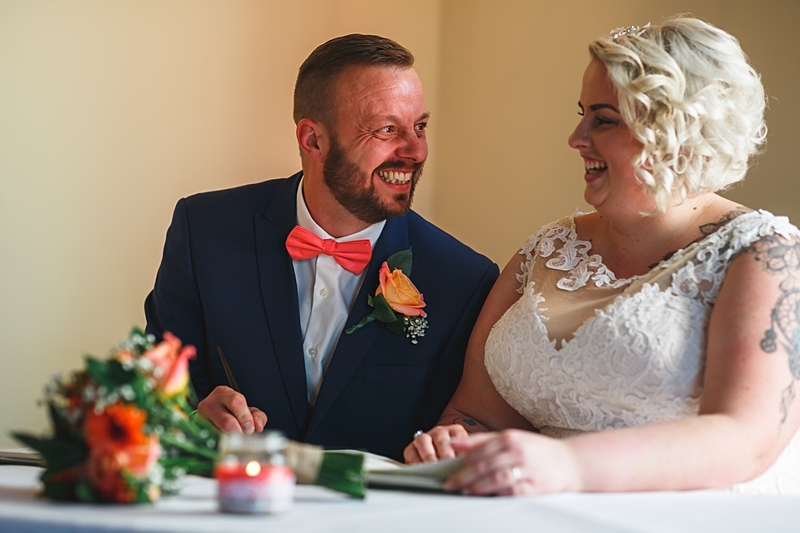 Well, what can I say – Amber & Andy’s Coopers Arms wedding photography was an absolutely awesome day, with plenty of emotions, love and fun. 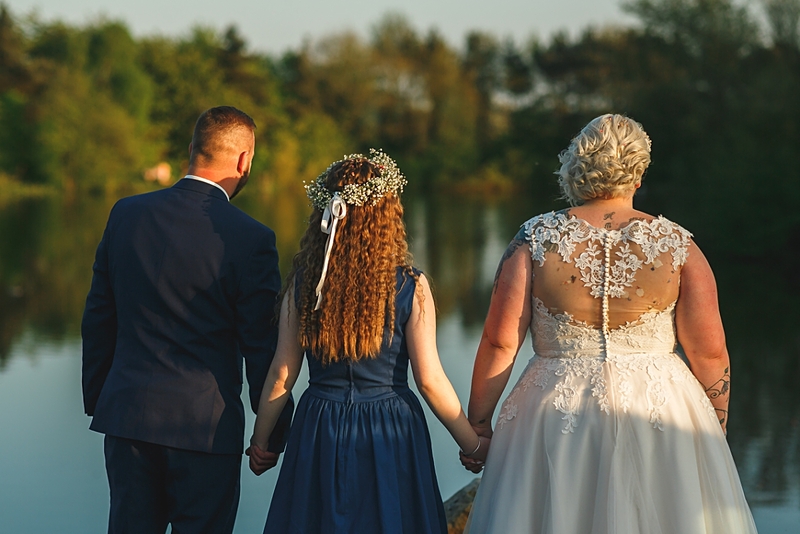 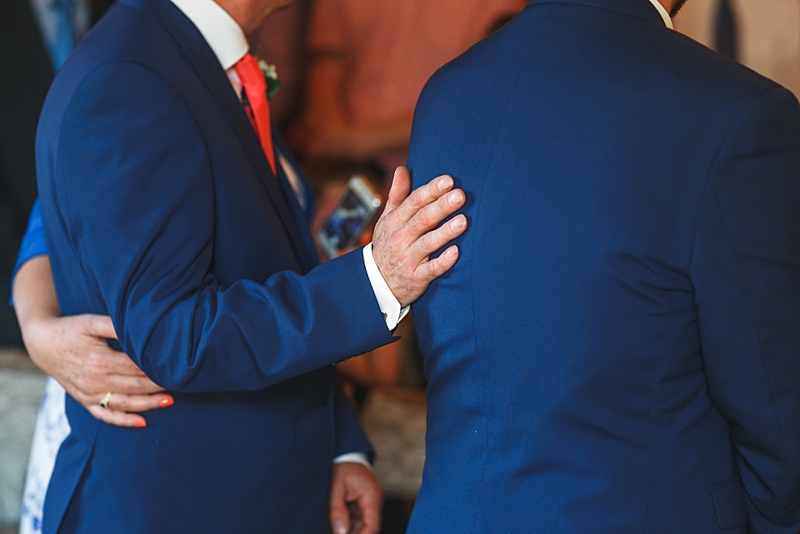 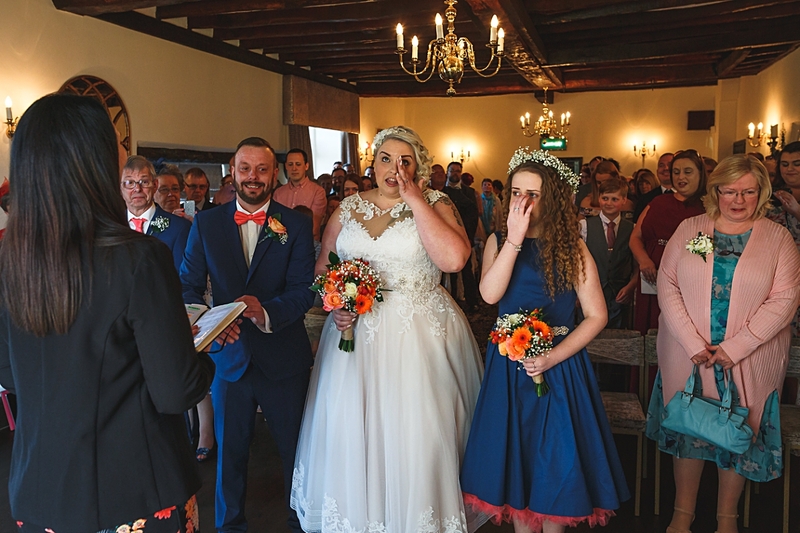 With Amber’s daughter as their gorgeous bridesmaid and Andy’s dad as his best man it was always going to be a real family affair and it was so lovely to witness the joining of the two families in a beautiful service and epic reception party! 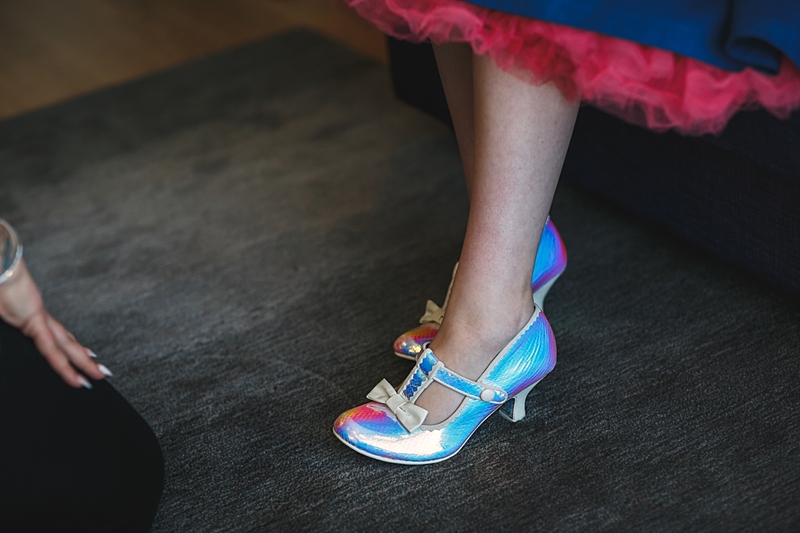 Special mention must go to Amber and her daughters look – their dresses, hair, flowers, make up and, in particular, their shoes (!) 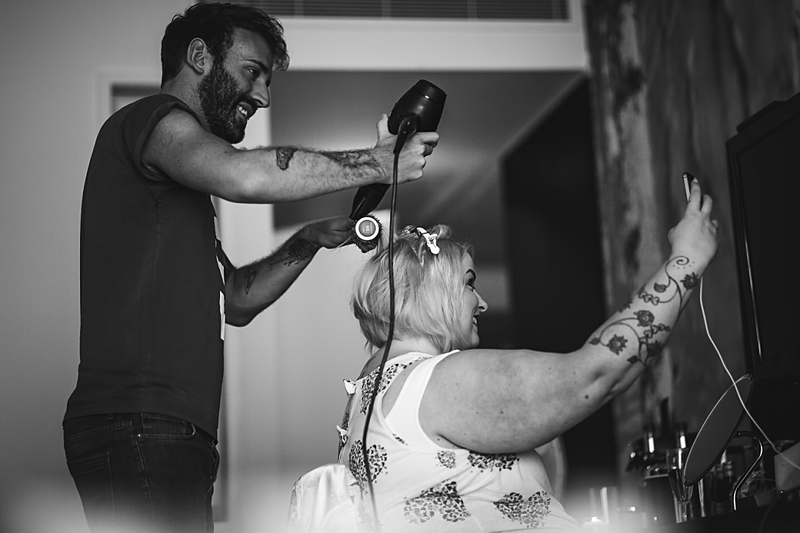 were just so cool and the photos of them getting ready are really special. 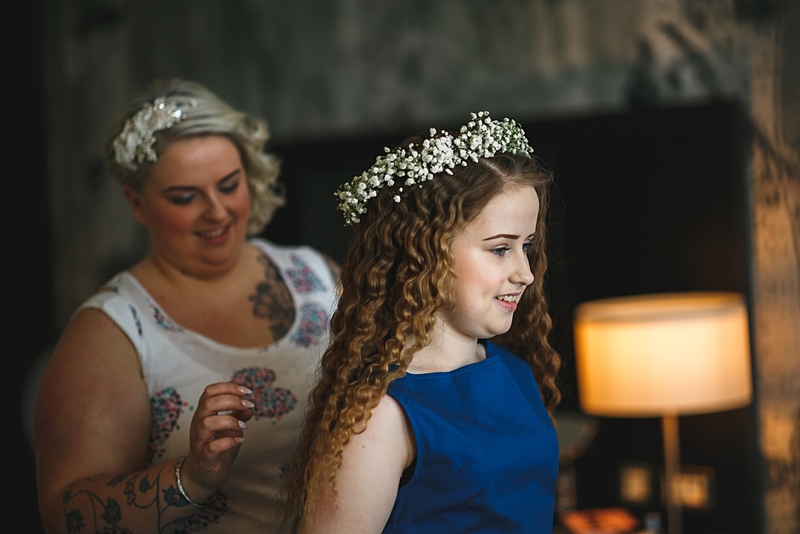 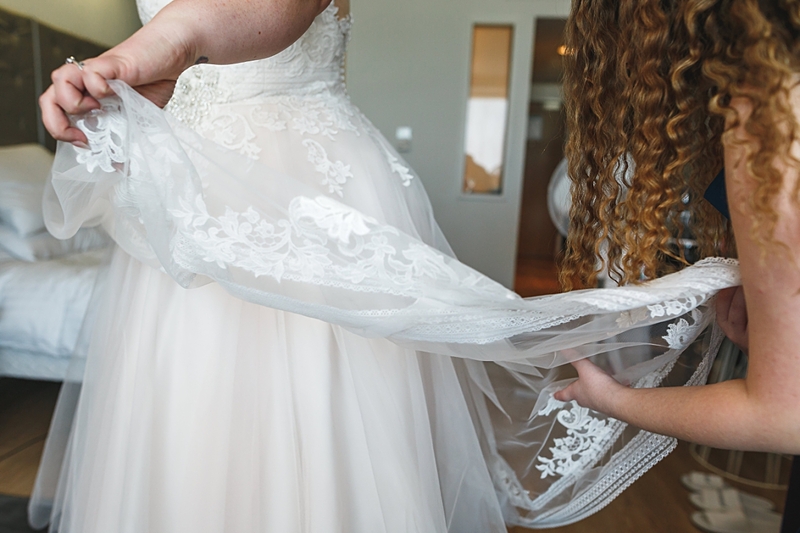 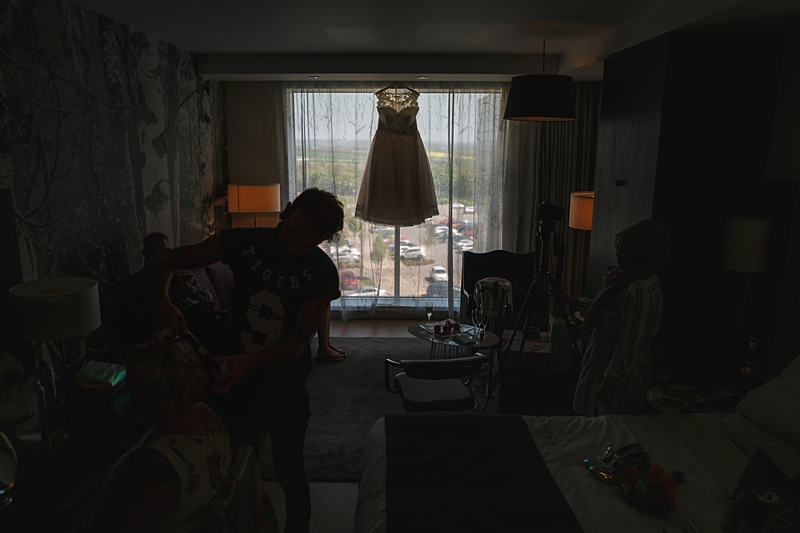 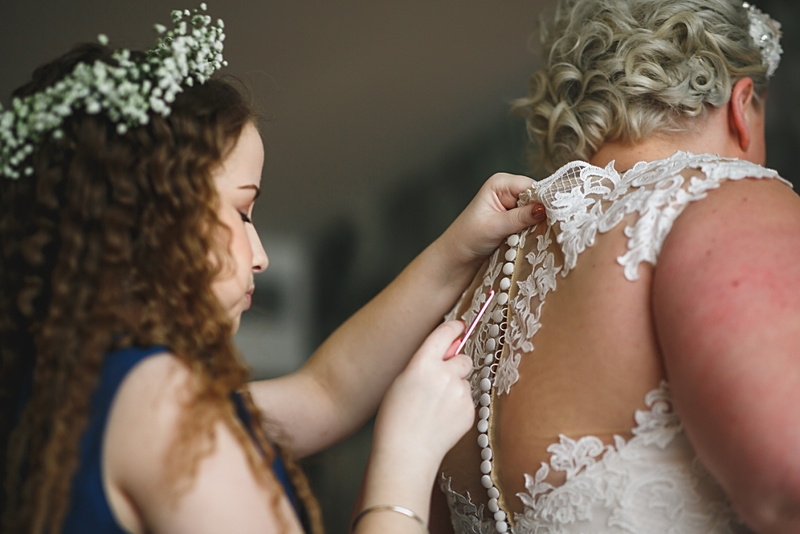 The mother-daughter bond is so evident and the morning preparations are such a precious memory for them both, I was really honoured to be there to capture it. 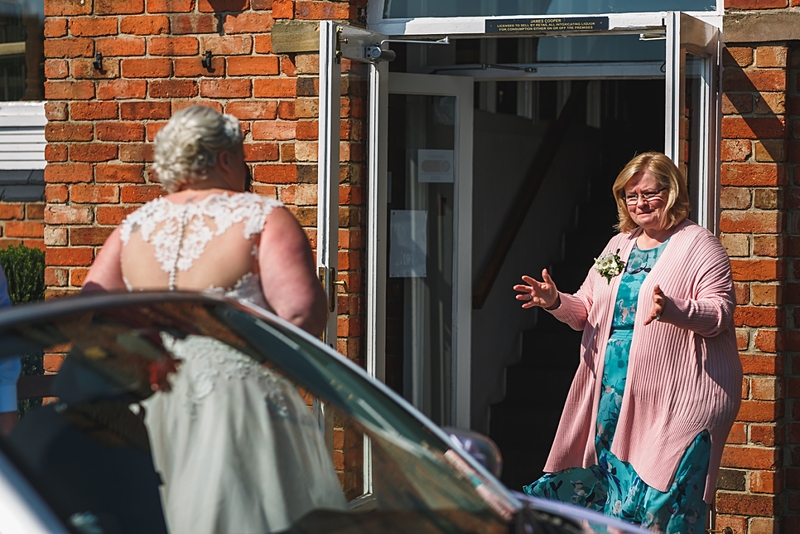 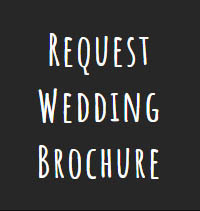 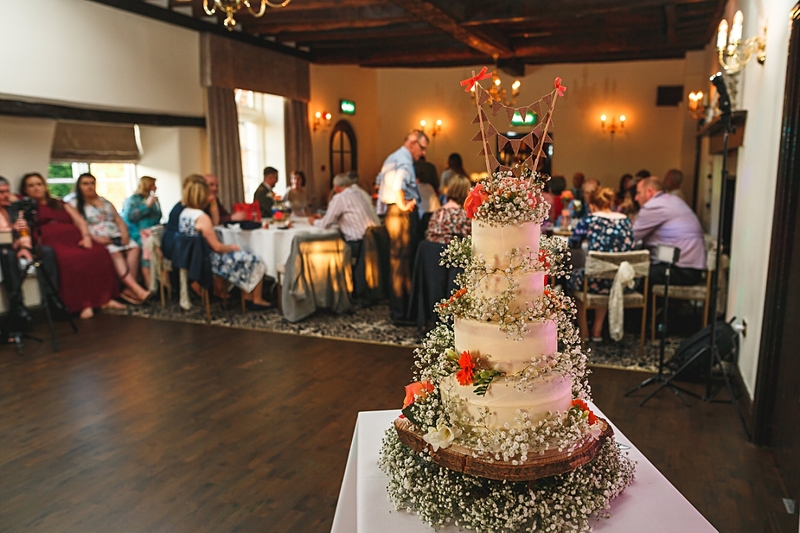 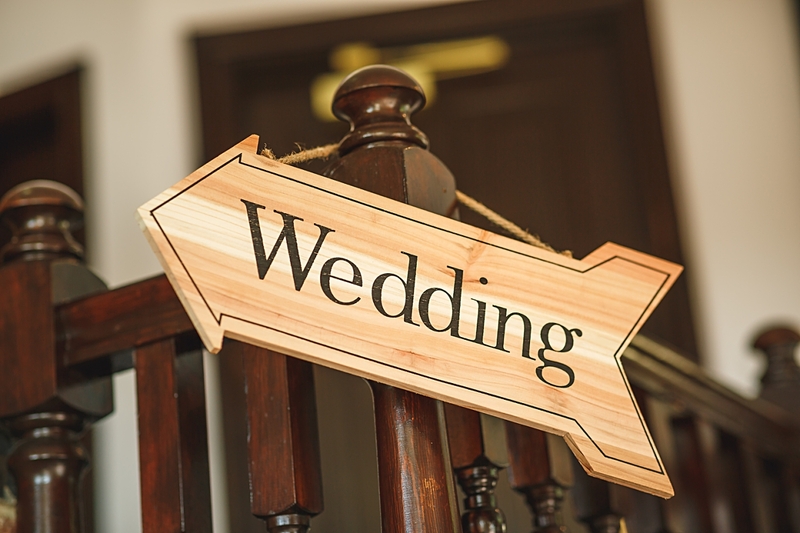 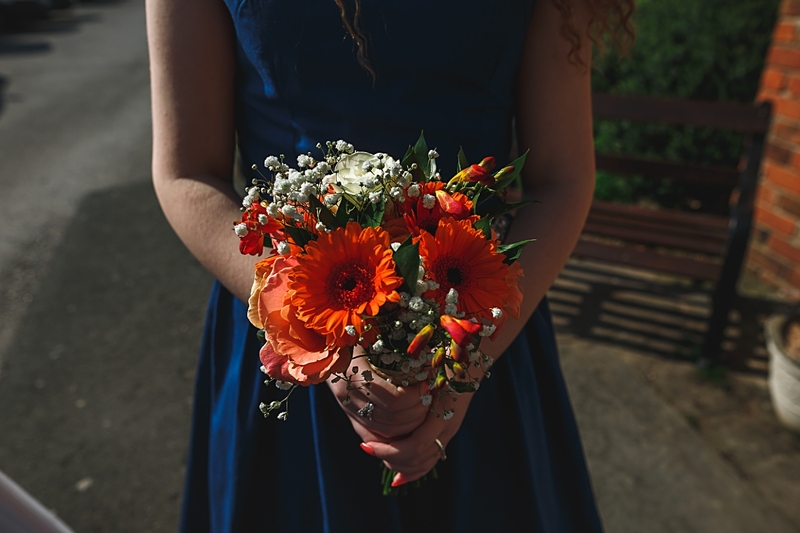 The venue in Weston, Derbyshire is a fab place to have a wedding, with its 17th century exposed brickwork and original features, and beautiful grounds it really does make Coopers Arms wedding photography easy with so many options for shoots! 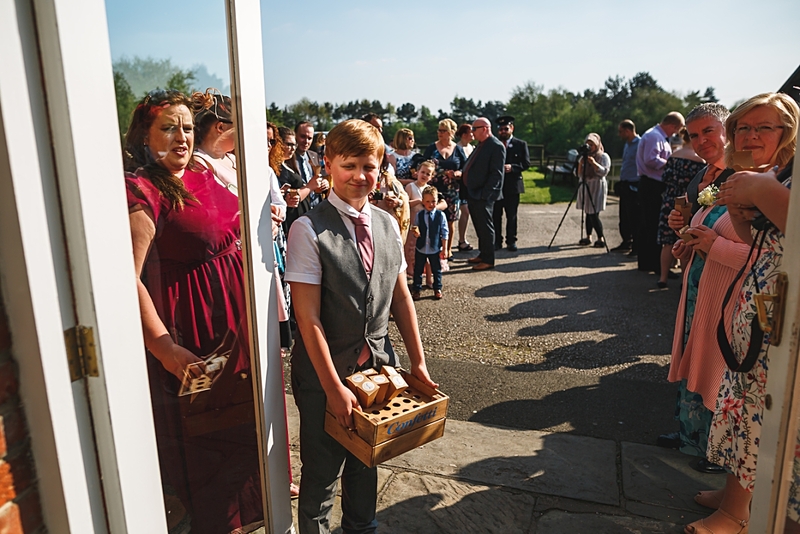 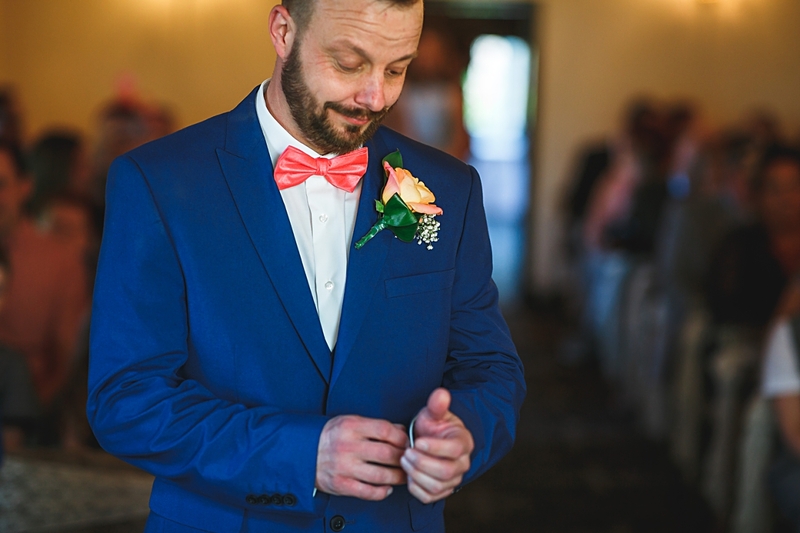 When I arrived Andy was busy welcoming guests and looking relaxed waiting for his bride. 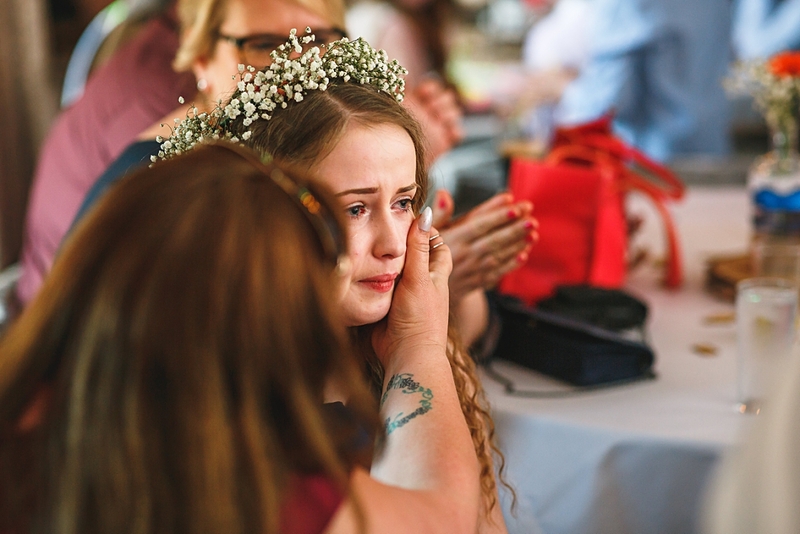 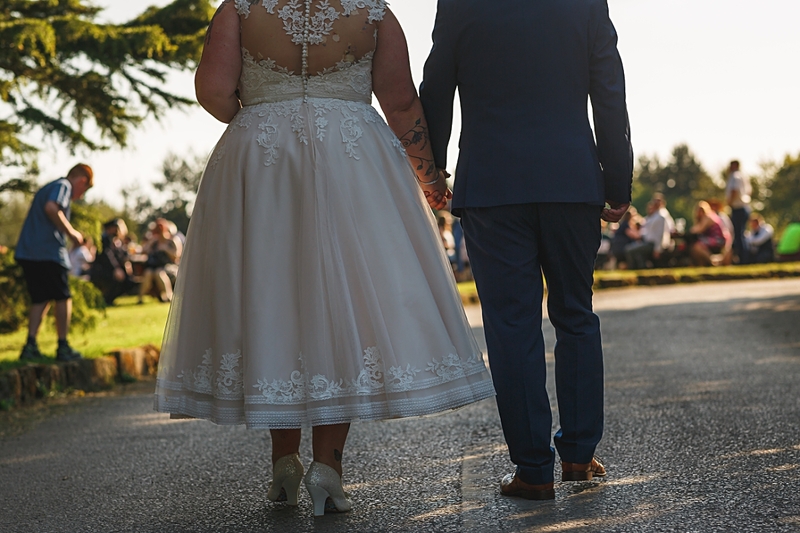 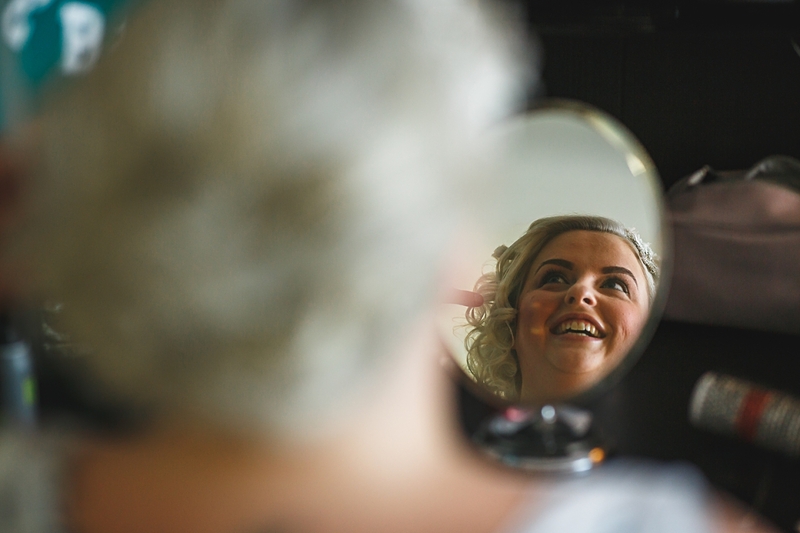 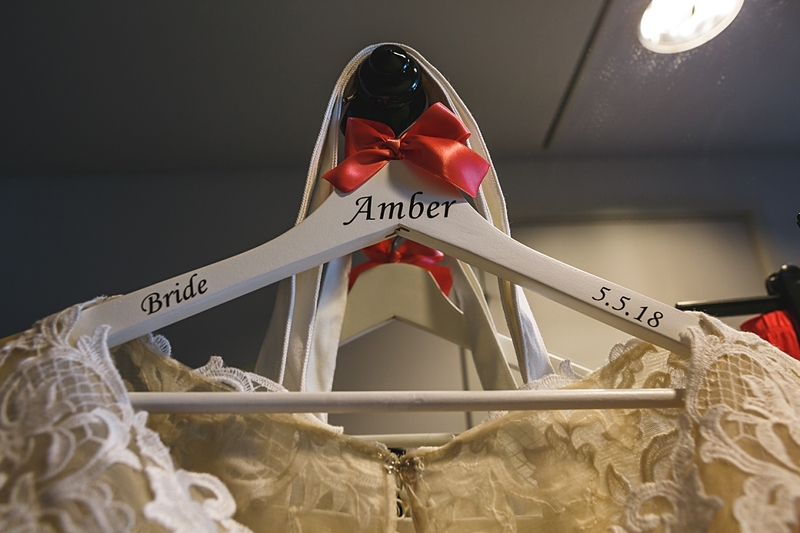 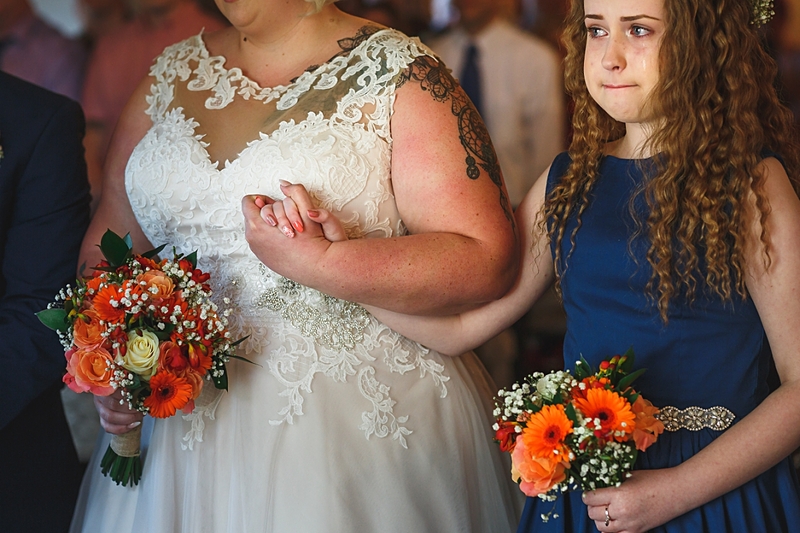 I’ve got so many ‘favourite’ moments from this wedding, but the shots of Amber, her daughter and Andy at the top of the aisle, with all the emotions really get to me every time I look at them. 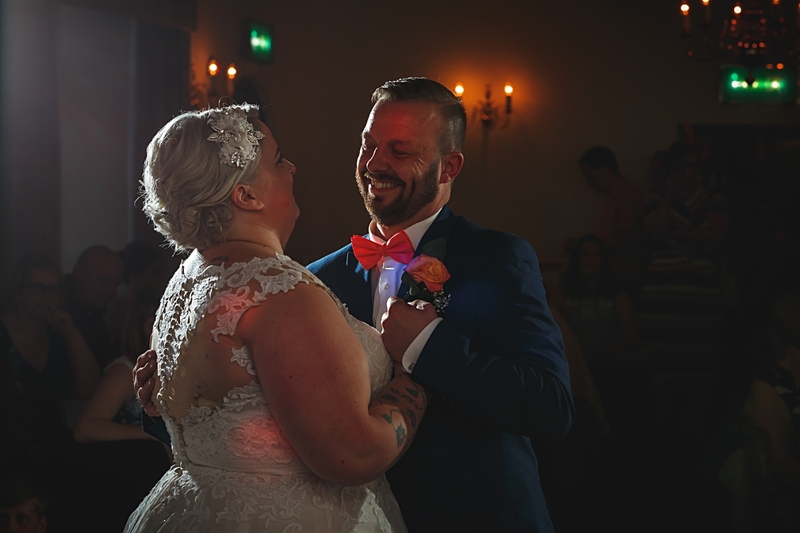 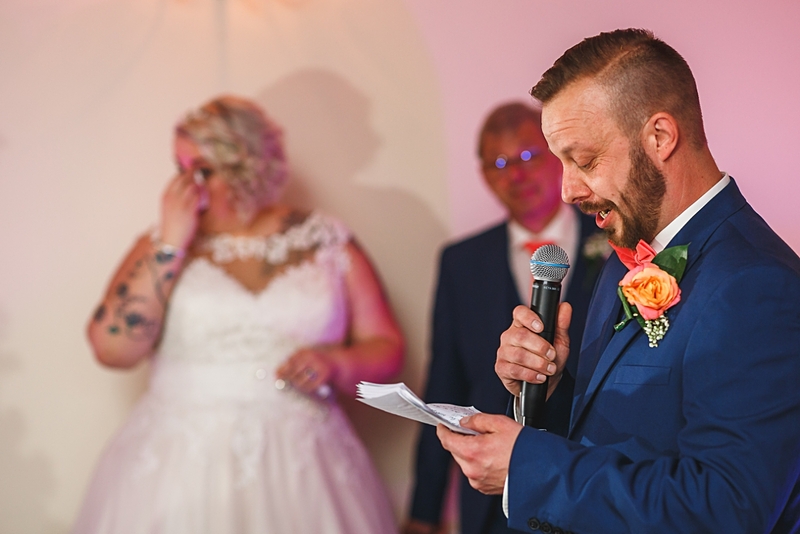 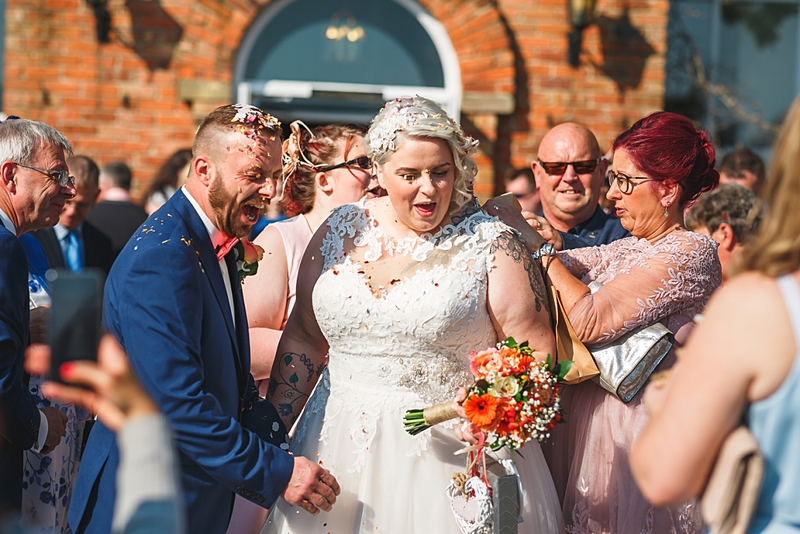 After Amber and Andy were announced as Mr & Mrs Brooks it was time for one of the best confetti tunnels I have ever seen – so much confetti and it just didn’t seem to stop! 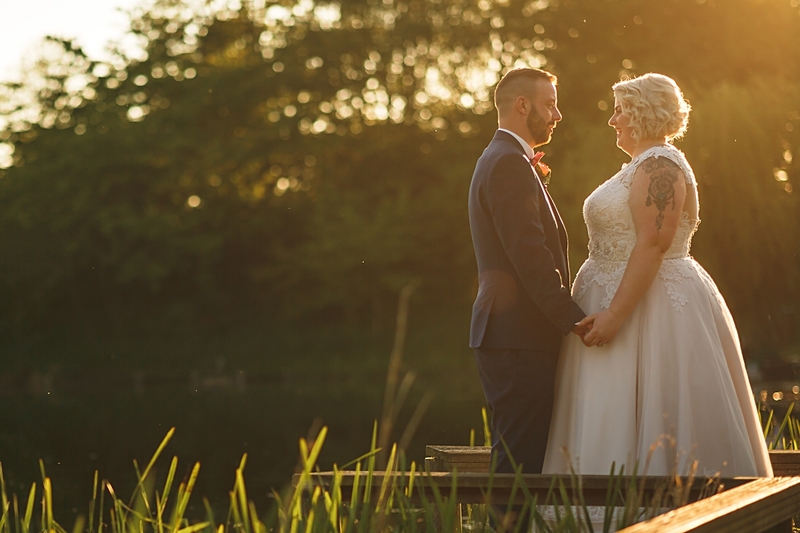 With it being an absolutely beautiful day, their guests enjoyed the afternoon sunshine while we made the most of the light, and took some group and portrait shots utilising the stunning grounds of the Coopers Arms. 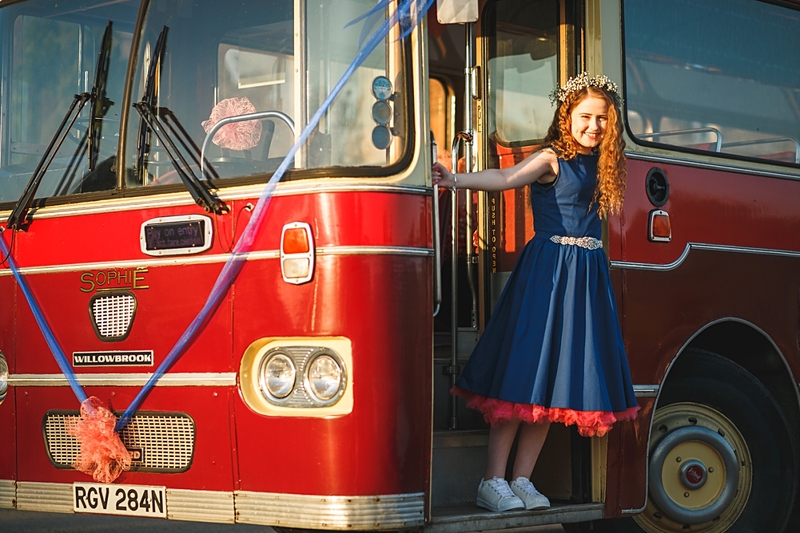 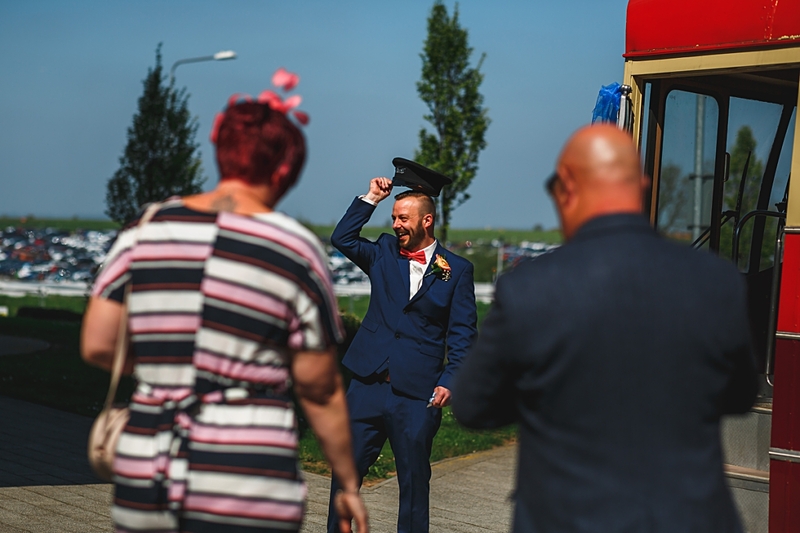 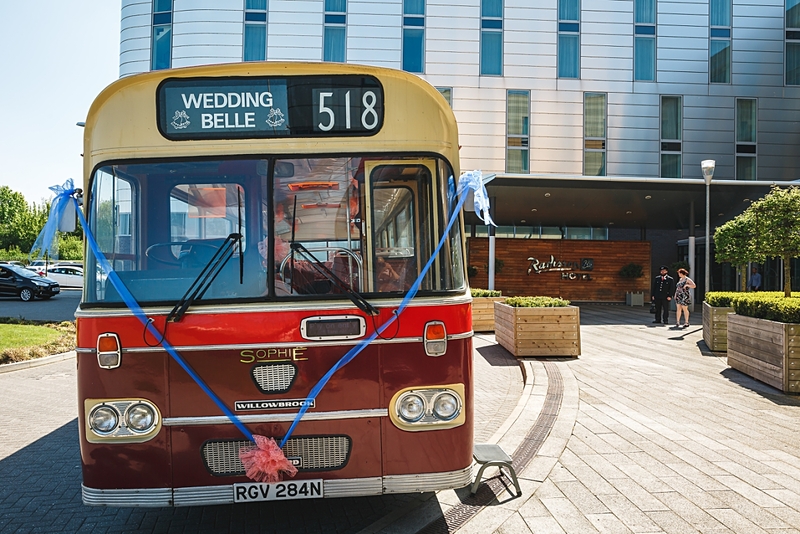 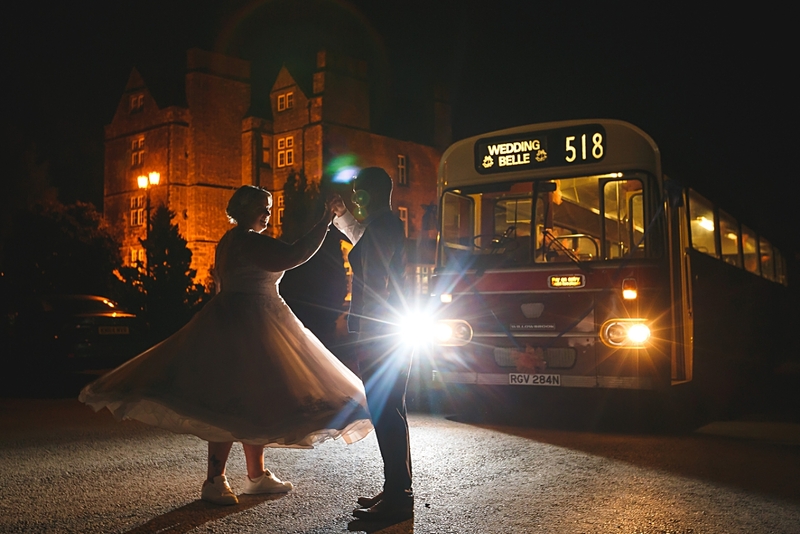 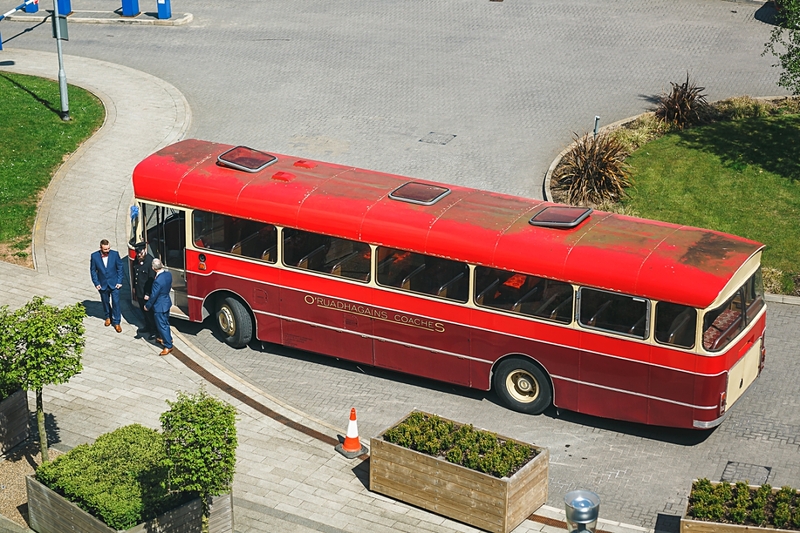 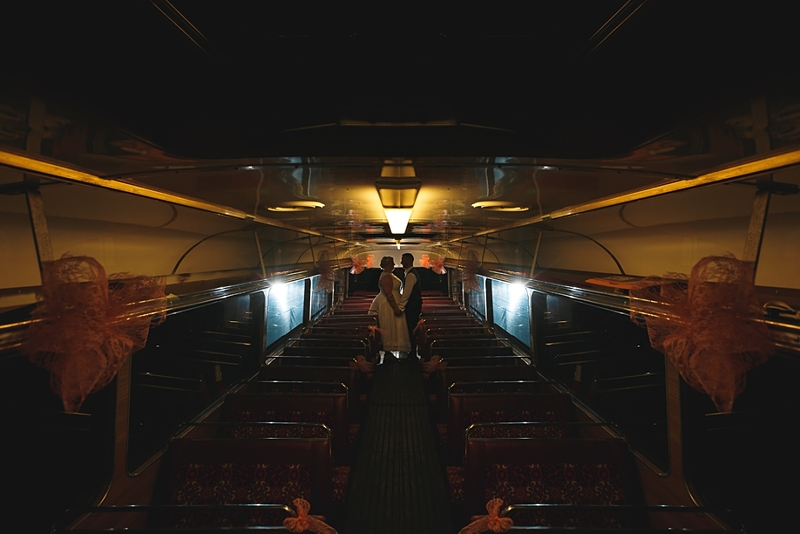 Andy is a big bus geek and luckily he had a good friend who owned one that they had both been working on to ensure it could transport their guests to and from the hotel and venue (also made a great prop for some cool photos too! 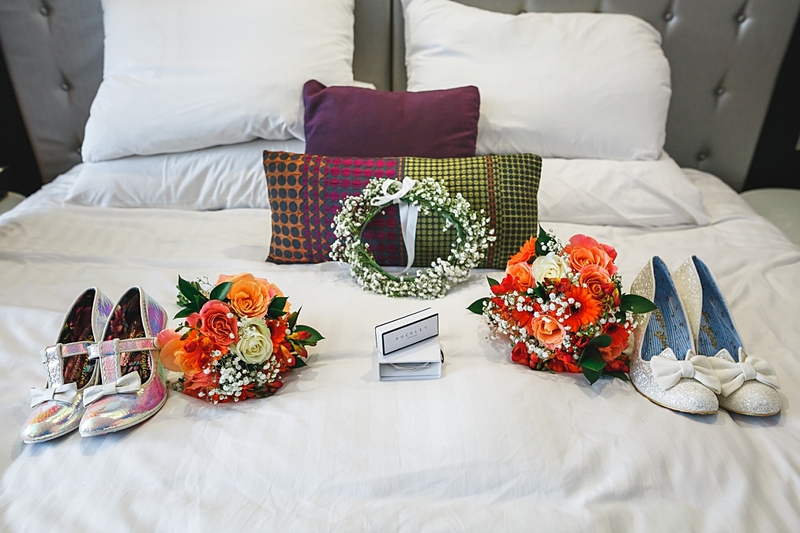 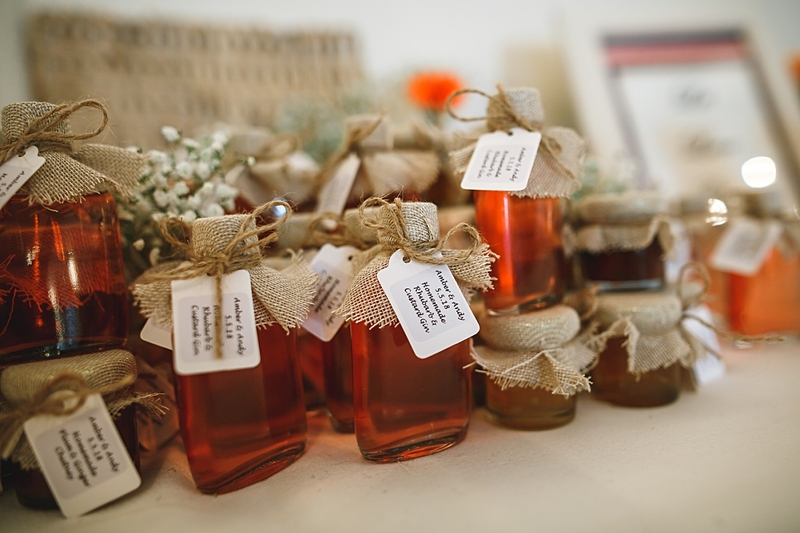 ), I always love trying different things with elements of a couples’ wedding which is unique and special to them. 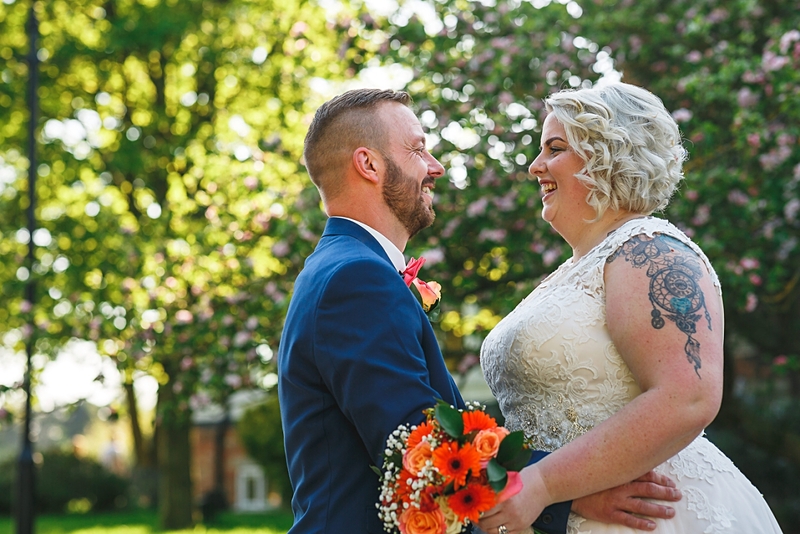 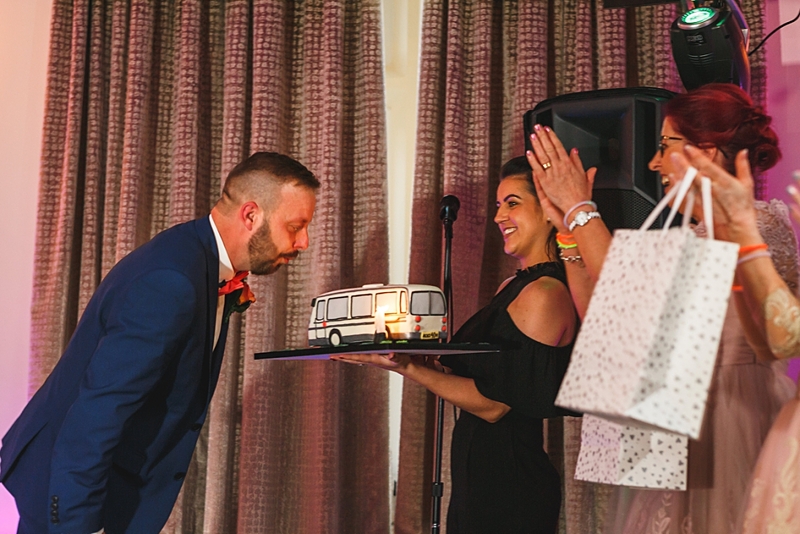 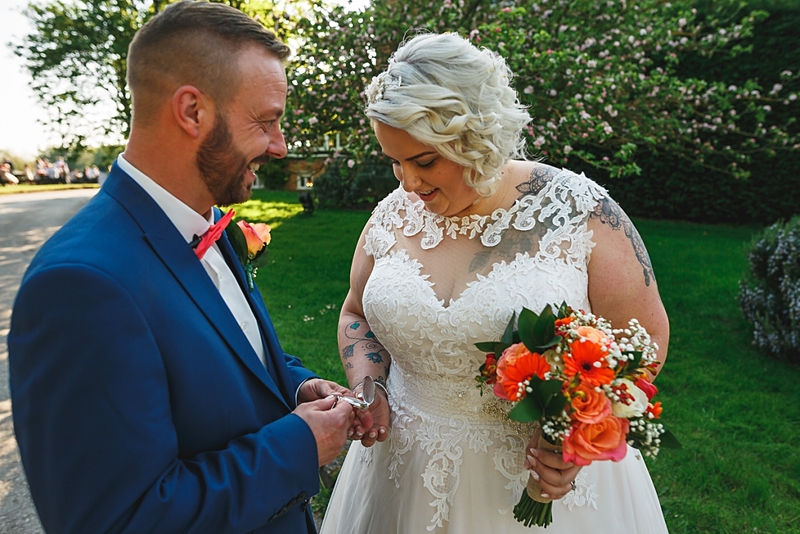 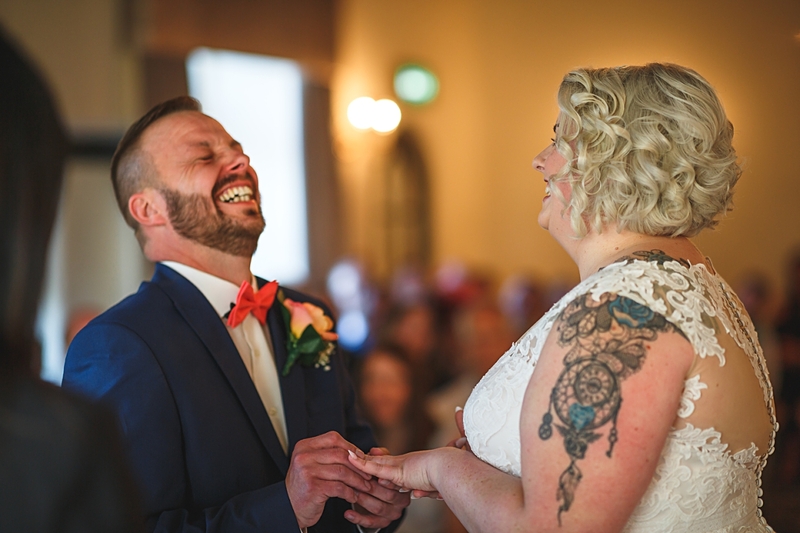 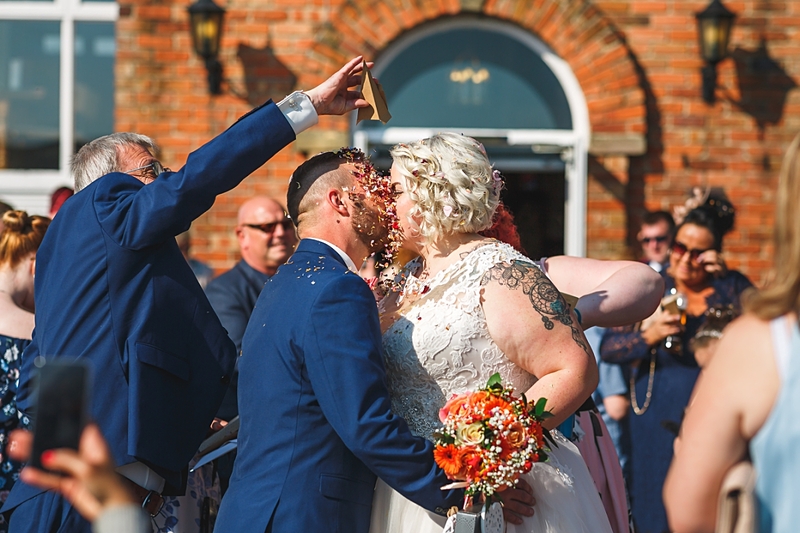 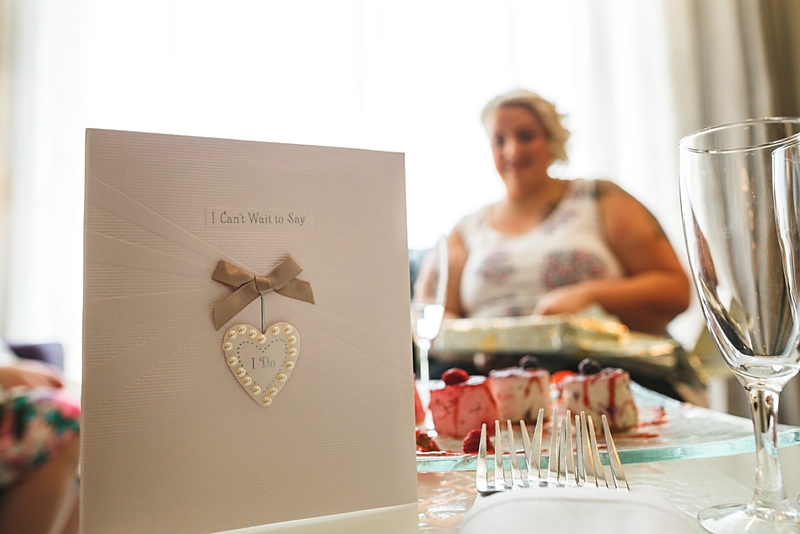 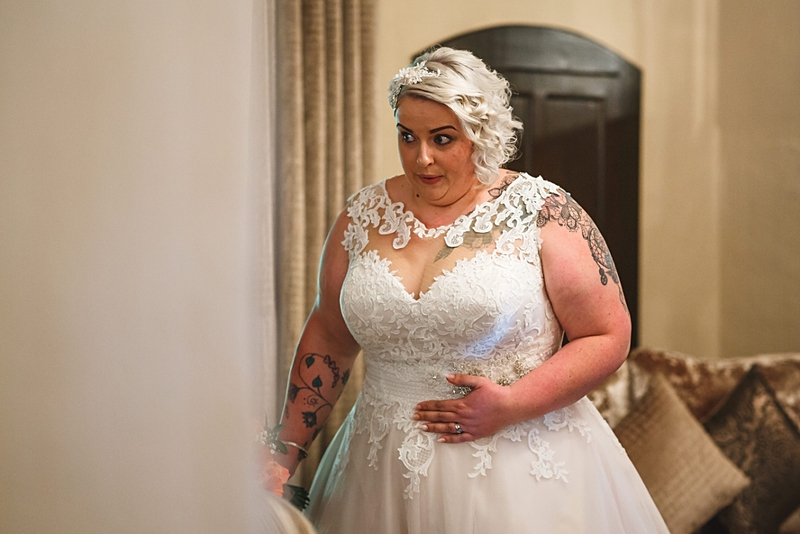 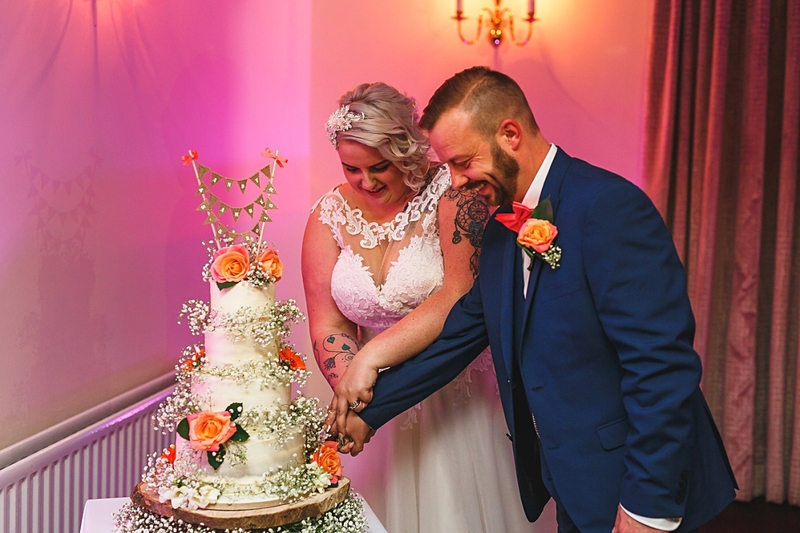 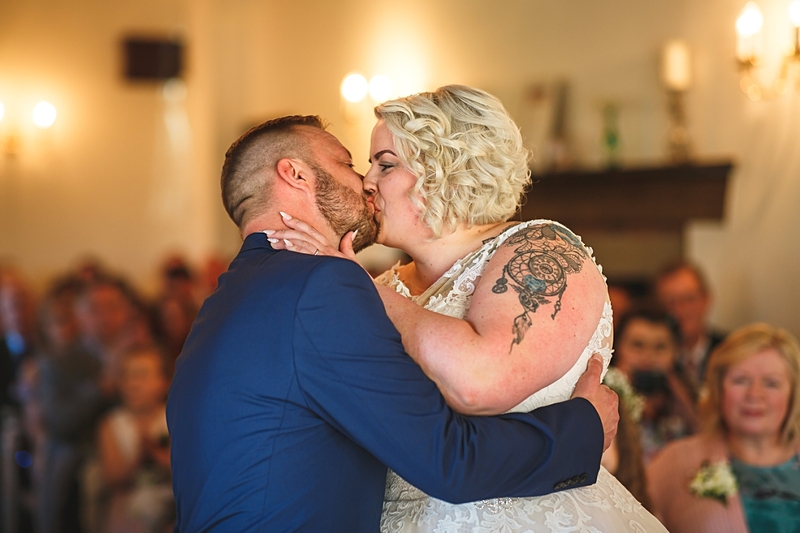 It was then time to head inside for speeches, which Amber hijacked at the end to present her new husband with a surprise birthday cake – double celebrations. 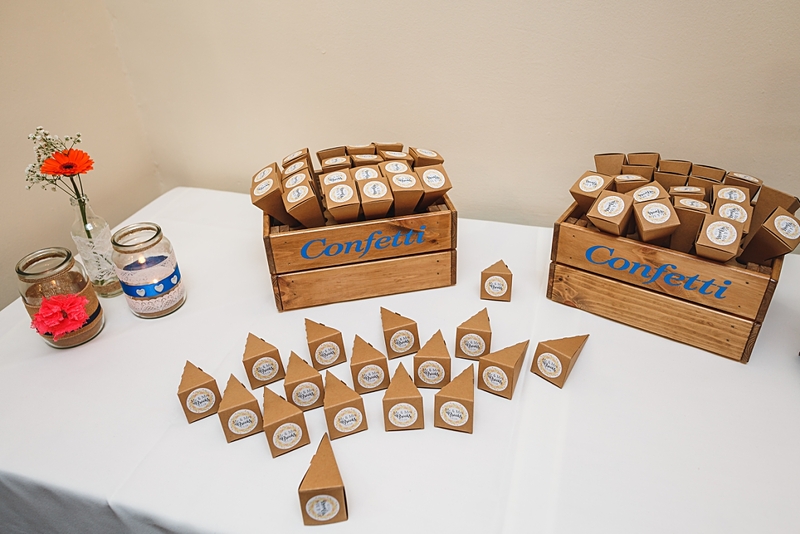 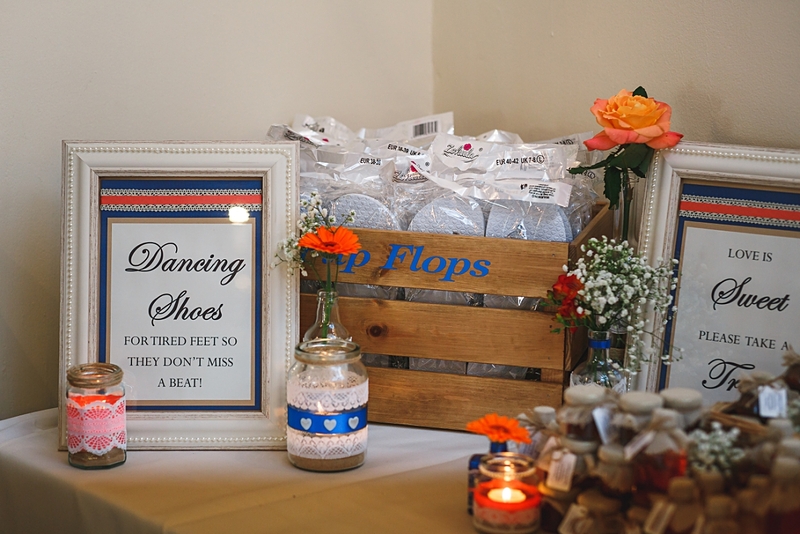 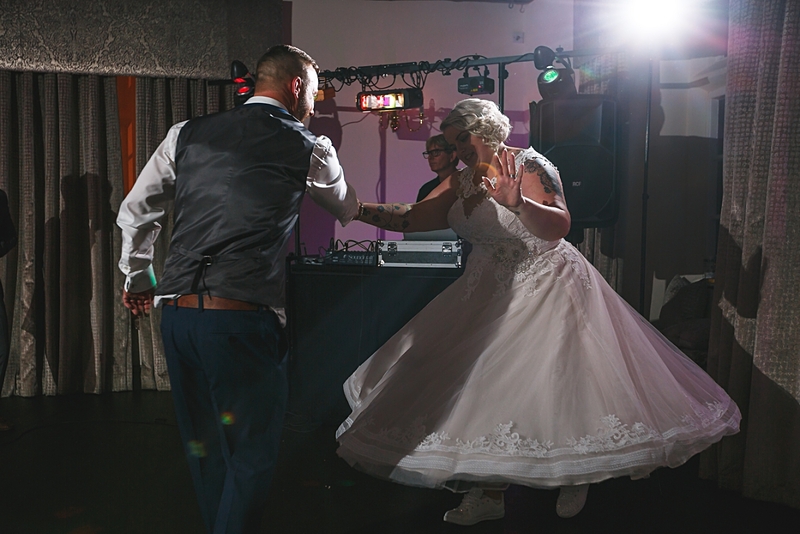 The cake(s) were then cut and the first dance opened the dance floor for the newlyweds and their guests to well and truly party the night away! 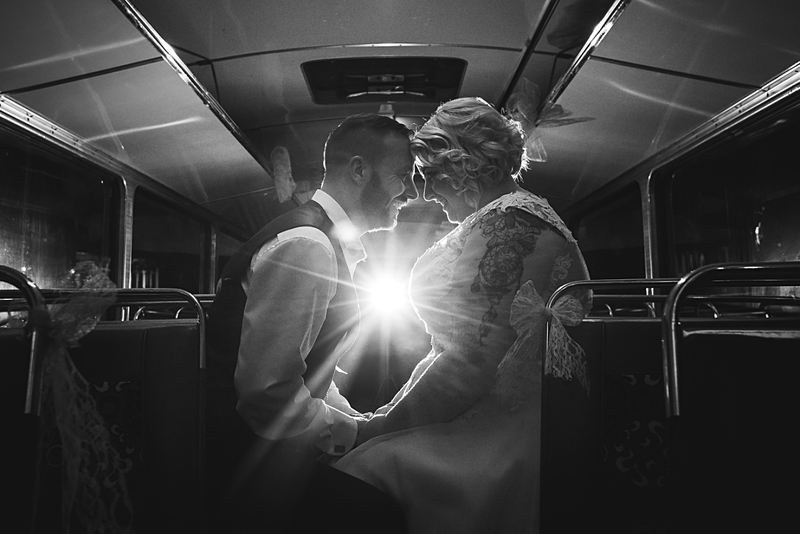 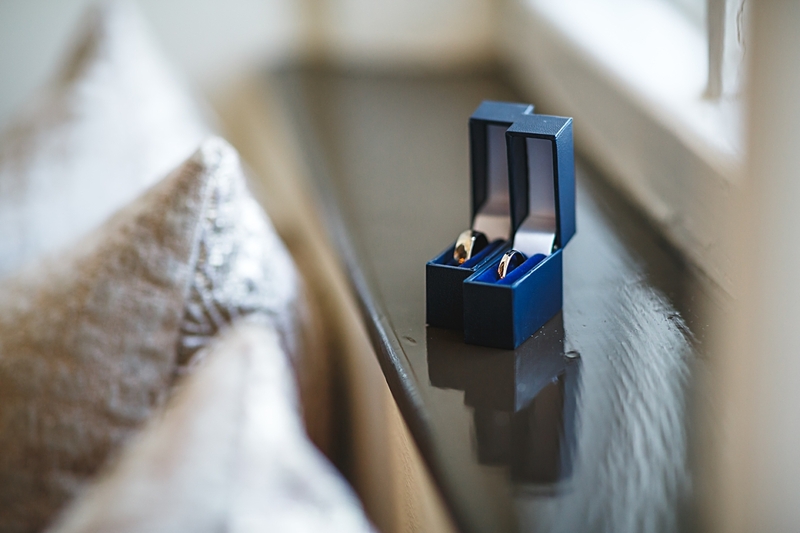 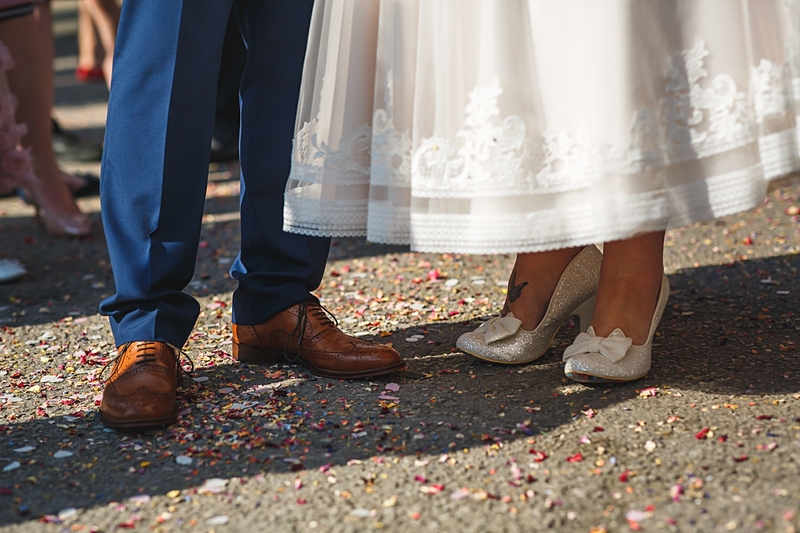 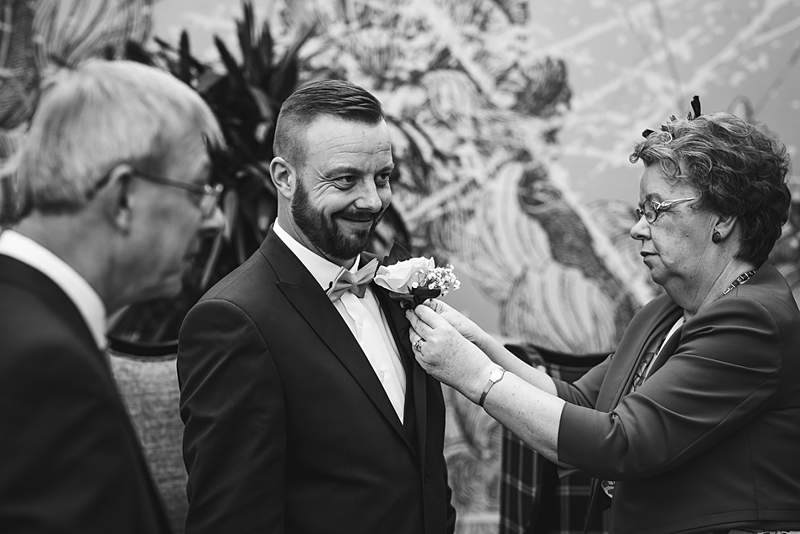 If you’re interested in booking me for your Coopers Arms wedding photography then please don’t hesitate to get in touch here.